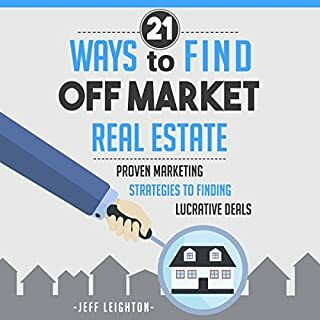 If you have ever tried to buy "off market" real estate before, then you know that deciding on a marketing strategy to use is only half the battle. If you can't implement the marketing to get in front of the right types of motivated sellers then your marketing will be wasted. You must be able to systematically market your services in order to find these off market real estate opportunities. If you find the prospects of making money exciting, if you get the feeling there is wealth hidden in the real estate market in your community, and if you desire to learn demonstrably successful techniques to apply in your own ventures, then The Art of Wholesaling Properties: How to Buy and Sell Real Estate Without Cash or Credit will give you the guidance and education you need to begin wholesaling homes and generating profits without using your own cash or credit. This book opened my mind to a whole new world. 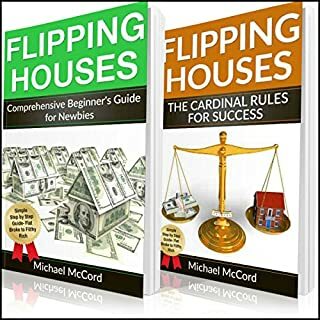 This definitive guide on flipping houses for profit contains two manuscripts conveniently rolled into one. This is the resource guide that you don't want to miss! Inside you will find everything you need to get started with one of the best strategies for earning passive income there is. Many people have literally earned millions of dollars flipping houses and there is no reason you can't become one of them. This is for big investments. Featuring fully revised facts and figures that reflect the most recent changes in the real estate market, Tips and Traps When Buying a Home, Third Edition provides first-time and experienced home buyers alike with practical, step-by-step information on a broad range of proven home buying strategies, along with indispensable advice and guidance. Good information but. . .
Wholesaling is by far the quickest and easiest way to make a killing in the world of real estate investing. Think of it as the day trading of real estate except it is far simpler and less risky. In fact when you learn how to do it the right way, you won't take on any risk at all. 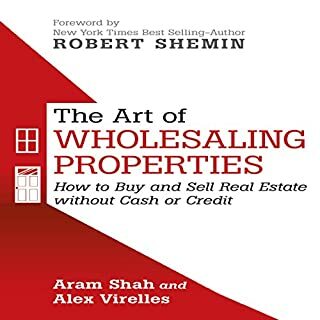 The Real Estate Wholesaling Bible teaches you everything you need to know to profit from real estate wholesaling without any money, credit, or experience to get started. Current studies estimate that in order to retire effectively hopeful retirees will need to have socked away more than $500,000 to continue living at the same level of comfort that they did while they were working. As such, only 25 percent of Americans are currently saving an adequate amount each month in order to continue supporting themselves without outside assistance. 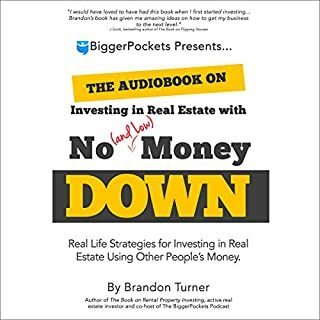 Discover 21 true stories of real estate investing deals that went terribly wrong and the lessons you can learn from them. The cost of these "deals gone bad" total millions of dollars in losses, years of unproductive activity, and incalculable emotional stress. However, you'll obtain the enormous benefits of the powerful and profitable learning lessons from these 21 mishaps without the costs! 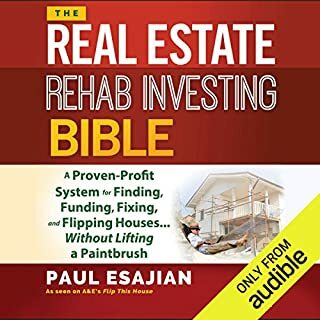 You're about to gather lifelong, extremely valuable real estate investment and house flipping wisdom that has taken others a lifetime and a fortune to learn. With these expert tips, learn how to dominate real estate. You'll be well on your way to passive income and becoming financially free with this easy guide. This audiobook breaks down into easy-to-understand modules. It starts from the very beginning of real estate investing, so you can get great results, even as a beginner! We live in a highly litigious world. As you live your life you must keep your guard up. As you grow your wealth you must protect it. For those who don't, predators await, and their attorneys will use every trick in the toolbox to get at your unprotected assets. Start Your Own Corporation educates you on an action plan to protect your life's gains. Corporate attorney and best-selling author Garrett Sutton clearly explains the all-too-common risks of failing to protect yourself and the strategies for limiting your liability going forward. Required Reading for all inspiring entrepreneurs! One of the reasons that real estate is generally so reliable is that it offers a unique mix of liquidity, cash flow, profitability, net worth, and diversification benefits not seen in other types of investments. 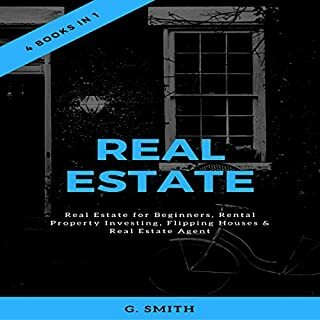 Having an understanding of the benefits of real estate investment, and understanding how to best put them to use are very different beasts, however, which is why this book will aim to outline the basic principles at play during real estate investing as well as the various risks involved. While every once in a while, a whale of a property will come along and allow you to make a major windfall with relatively little effort. Unfortunately, for most real estate investors, this is going to be the exception, not the rule, which means that most of the time success is going to come about incrementally thanks to lots and lots of research and a firm understanding of real estate investment fundamentals. This means that even if you have a real estate agent on the team you are going to want to spend plenty of your own time seeking out non-traditional avenues to find properties, which is often where the occasional whale is going to be found. 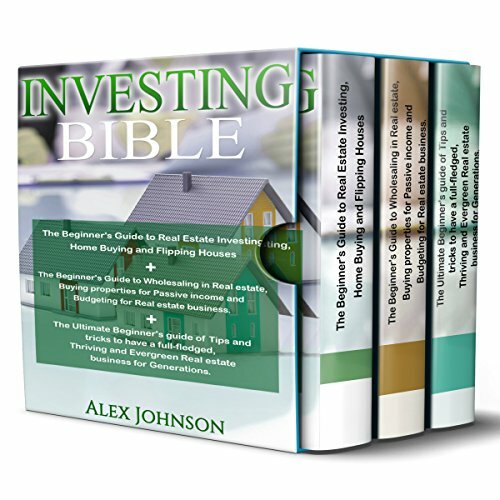 This Investing Bible is all about learning home buying, flipping houses, wholesaling and budgeting in real estate and also learning the important tips and tricks to have a thriving and evergreen real estate business for generations.